As above, who would you choose? I think Prime Hierro is really overpriced right now, his reasonable price is around 700 000 coins. 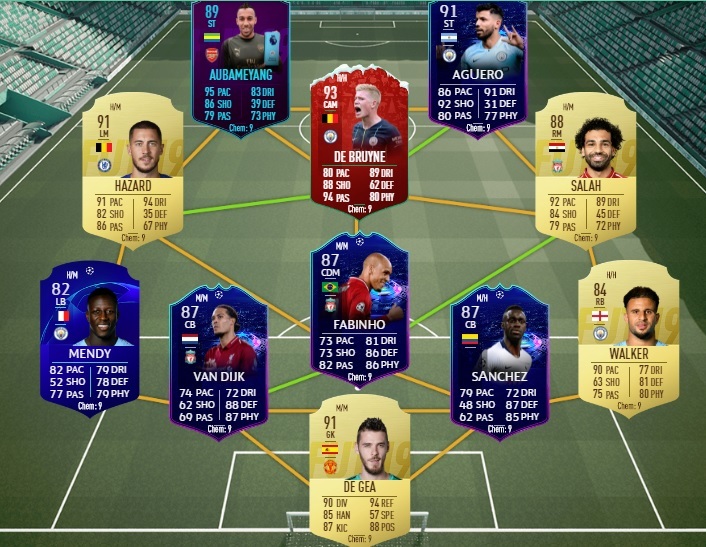 At the same time, what do you think is a good price for RTTF Van Dijk? Also CB’s are not my biggest concern, because right now I’m using untreatable duo: Ferdinand-Varane, however Courtois is so frustrating. I have to buy De Gea. Save the coins and throw Lloris in goal mate... he’s always been pretty impressive when facing him, as well as for the short spell I used him. Forking out 700k+ for a CB when you have those two untradeable is completely unnecessary, though totally understand the Courtois frustration - he was abysmal for me, perhaps one great game in ten and garbage rest of the time. Funny how keepers are so hit and miss, Lloris was so bad for me I went back to Courtois who is amazing. Just use mathieu. Much better.